How is Yovani Gallardo progressing and will he be back to pitch this year? Yovani is working very hard with his rehab and seems to be ahead of schedule. Yovani has always been a hard worker, as he showed when he had surgery in spring training and came back ahead of schedule. If things go right, and there are no setbacks, he could be back around the middle of September. Will Bill Hall and Russell Branyan continue to platoon at third base? Right now, it is an ideal situation for the Brewers. Considering the way Russell is hitting against right hand pitching and the way Bill is hitting against left hand pitching, it has worked out well so far. With his offensive production so far, Russell Branyan has made it very difficult – at this time – for Bill Hall to be the everyday third baseman. Considering how well Salomon Torres is doing as the closer for the Brewers since taking over for the injured Eric Gagne, what will happen when Gagne return from the disabled list? 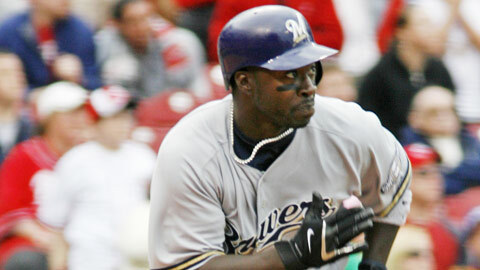 I don’t see the Brewers installing Gagne as the closer when he returns from the DL. If Torres continues to close games the way he has been doing, he will probably remain the closer. The Brewers are paying Gagne $10 million to be the closer; when he comes back, they probably will gradually work him out of the bullpen to see how he will do. There is no doubt that the Brewers bullpen would be so much more effective if Gagne was able to close out games. That would mean Torres, Mota, Riske (when he returns) and Shouse would return to their regular roles. For now, Torres is the closer. 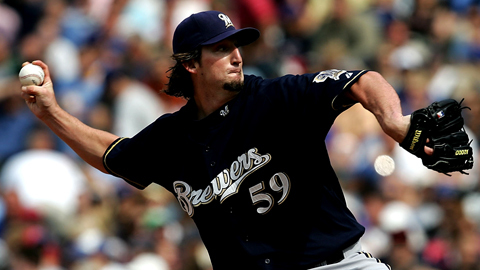 Will Derrick Turnbow return to the Brewers and how is he doing in triple A? Derrick Turnbow’s return to the Brewers is very unlikely at this time. He is at Triple A Nashville and is slowly trying to regain his form of two years ago. He 1-1 in 10 games including 4 starts with an ERA of 10.32. He has thrown 11 innings, giving up 9 hits, 13 earn runs with 30 walks and 16 K’s. Hopefully, he can regain his confidence and start being that intimidating pitcher he was a couple of years ago. We wish him well, because he is truly one of the good guys in baseball.